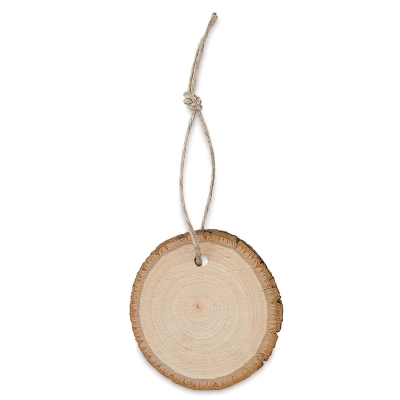 Each rustic Walnut Hollow Wood Slice Ornament has natural bark around the outer edge and is ready for any finish. Decorate the ornaments with paint, woodburning designs, and more. Choose Basswood or Birch. The wood slice ornaments are roughly 2-1/4" × 3-1/2" × 1/2" and have an attached hemp cord for hanging. 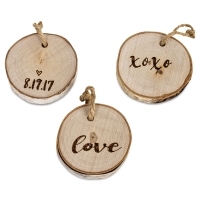 They're perfect for holiday gifts, wedding décor, and many other creative projects. 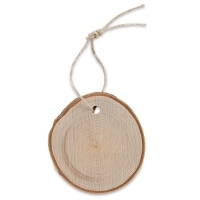 ® Walnut Hollow is a registered trademark.® Basswood Country Round is a registered trademark.